Sephora has a new Free Deluxe Sample! 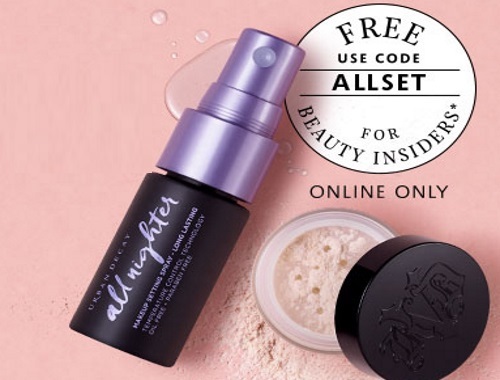 Get a Free Urban Decay All Nighter Setting Spray or Kat Von D Lock It Setting Powder with any online purchase of $25 or more. Enter the promo code ALLSET at checkout to add this to your cart. Offer available for Beauty Insiders only for a limited time.